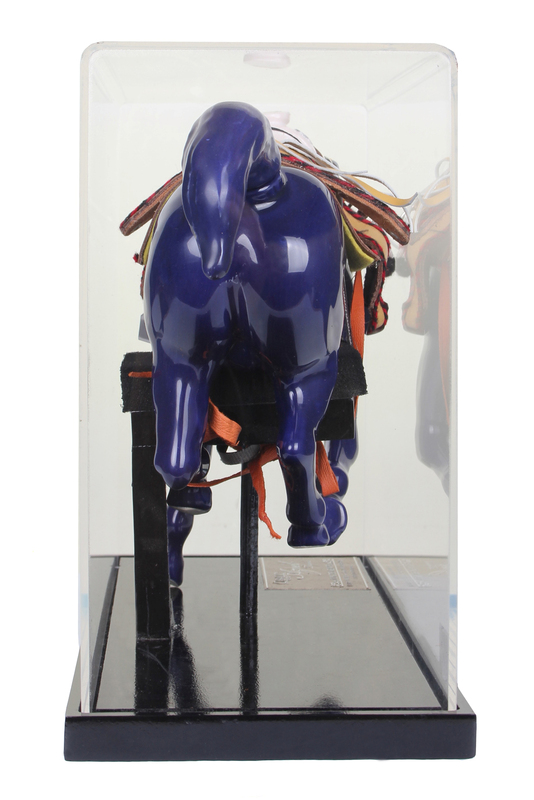 This Amazing horse sculpture contains some Añejo Tequila Reserva as incredible as the container itself. 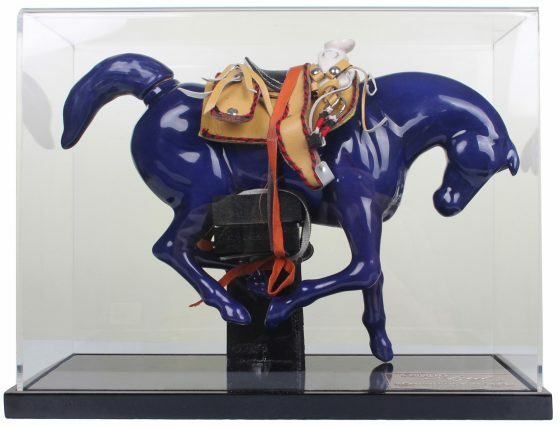 This horse shaped clay statue has a miniature saddle and stirrups crafted from real leather. 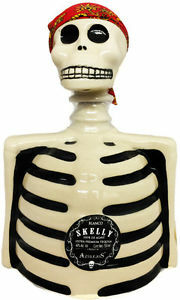 This beautiful decanter will look great in any collection. Casa Maestri Tequila uses a carefully selected mixture of 50% Highland Agave and 50% Lowland Agave. Also, 50% of the Agave is cooked in old traditional brick/stone ovens, and the other half is cooked in stainless steel autoclaves. Fermentation is very slow, with average time required of 72 hours. The final step is distillation which takes place in pot stills, also known as single batch slow distillation at relatively low (55%) alcohol content. 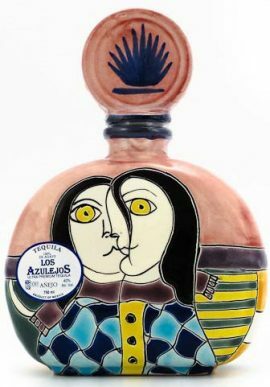 Destiladora Del Valle de Tequila (Casa Maestri) is a Tequila distillery located in the heart of Mexico’s most prime agave growing and tequila production region: Tequila, Jalisco, Mexico. Casa Maestri combines the best of the old and new when it comes to Tequila production. They utilize traditional slow baking brick ovens and autoclaves to cook the blue agave hearts, and traditional mills (molinos) to extract the juices from the Agave. Casa Maestri ferments with natural occurring yeast, and distillation takes place in old fashioned pot stills. All water is processed through an ultra modern system of reverse osmosis, deionization, and ultra violet bacteria eliminating lights, followed by two types of filtration.